Rashad is a Chartered Quality Professional and Project Manager PMP certified, with extensive experience in setting up project management processes and quality standards across different industries, including banking, retail and Employee Wellbeing. Obtaining a degree in Hospitality Management and exposure to the service industry, helped to develop sustainable Customer Service strategies for multiple international brands through a variety of channels. 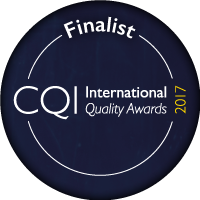 Currently in the Employee Wellbeing Sector, Rashad manages over 20 project managers globally, 5 Quality Managers and leads the QMS internal audits for Europe. A major part of his role involves setting out enterprise level standards and processes for project management, to support the company’s day-to-day operations and to ensure execution of key strategic projects to grow the business. Rashad volunteers at the Project Management Institute, UK Chapter as a Mentor. The mentoring programme allows project managers within the local community to engage in a mentoring and coaching programme to address key objectives. Rashad is also a volunteer at the Chartered Quality Institute, London Branch Committee. The committee is established to assist in growing the quality professionals across different sectors by planning regular events throughout the year to address various Quality topics. At present, Rashad is studying to obtain MSc in Applied Project Management at the University of West London.